HERBALIFE ist stolz darüber, offizieller Ernährungspartner des internationalen Fußball-Stars Cristiano Ronaldo zu sein! HERBALIFE ITALIA Lancio Mini IBP ( Distributore Indipendente ). Entrare in Herbalife è semplice! La possibilità di un lavoro indipendente e/o risparmiare sui tuoi acquisti! 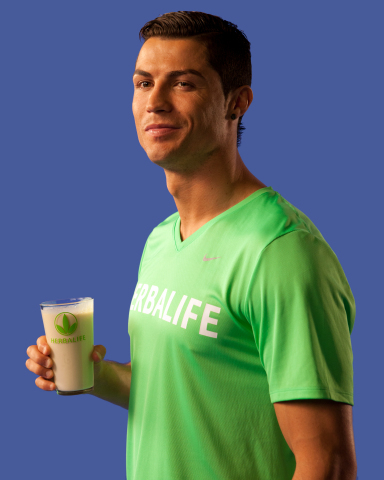 LOS ANGELES–(BUSINESS WIRE)– Global nutrition company, Herbalife (NYSE: HLF), has announced that it will become the official nutrition sponsor of international football player, Cristiano Ronaldo. The Portuguese international, who plays his club football for Real Madrid in Spain, is recognized as one of the best players in the world on the pitch, and a global sports icon off the field. Herbalife will work with Ronaldo to develop and optimize his personal nutrition program and provide him with a range of sports nutrition products. The five-year, multi-million dollar contract with Ronaldo includes global publicity rights and various joint promotional activities. It also includes the opportunity for Herbalife and Ronaldo to work together to develop a new co-branded range of sports nutrition products. “I believe strongly in the importance of the right nutrition for me as an individual, both on and off the field. I am looking forward to working with Herbalife, as a company that shares my passion and brings such expertise and knowledge in the area of sports nutrition,” said Ronaldo. “Cristiano Ronaldo is one of the greatest football players in the world, and someone who embodies our philosophy of good nutrition being at the core of a healthy, active life, and a key advantage in the competitive world of professional sport. His passion and belief will undoubtedly translate into tremendous opportunities for Herbalife and our independent distributors. We love and share his commitment and enthusiasm for this relationship and are excited about the future together,” said Michael O. Johnson, chairman and CEO of Herbalife. 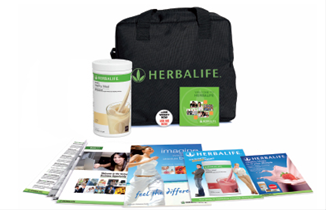 This agreement is part of Herbalife’s broader sponsorship program aimed at promoting healthy and active lifestyles. Ronaldo joins more than 100 other Herbalife-sponsored athletes, including a number of football teams around the world, such as LA Galaxy in the U.S.; FC Pumas in Mexico; Brazilian team, Botafogo; Spartak-Moscow in Russia; and the national teams of Belgium and Venezuela. 3280354728 – Veronica Herbalife Distributore Indipendente Cagliari Pirri.